In many ways, Dolores Terry defined the meaning of devoted wife, dedicated mother, and a woman devout in her faith. A true blessing, her generous spirit, giving nature and warmhearted ways was an inspiration and gift to those who loved and cared for her. Dolores will be fondly remembered with joy. Marked by a time of prosperity in America, the Roaring Twenties emerged as a decade of economic prosperity rich with optimism and innovation. The stock market soared and people everywhere were brimming with hope as excitement filled the air. 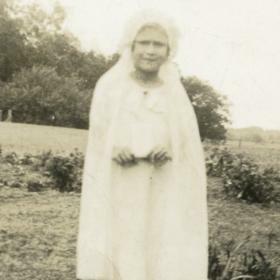 Yet nestled at home in the township of Wheatland, Wisconsin, Bernard and Alvina (Toelle) Richter were eager to share exciting news of their own when on May 8, 1927, they were blessed with the birth of their little girl, Dolores Rose. One of three children, Dolores was raised alongside her two siblings, Ruth and Harold. 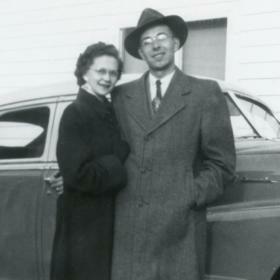 Dolores’ father worked for the Kenosha County Highway Department while her mother remained at home as a homemaker. Her family was quite poor, and with the onset of the Great Depression, families everywhere struggled to keep a roof over their head and food on the table, and Dolores’ family was no exception. Despite these times, Dolores enjoyed a childhood typical of her generation sharing adventures with friends. She spent her early years in New Munster where she walked to St. Alphonsus Catholic School, yet she was always afraid of walking past that one bull which she thought would surely cross the fence. As a young girl she picked watercress out of the creek and took it to the local tavern to earn money for candy. She loved catching frogs for frog leg dinners, and spelling was her favorite subject in school. No stranger to hard work, Dolores went to work right out of grade school. She worked alongside her mother ironing, and babysitting. Dolores also helped the elderly in their homes. One of the families who thought highly of Dolores offered to pay for her high school education, but her father wouldn’t allow it. Dolores shared the friendships of many and was part of a group of young people who often hung out together. Through some of these friendships, she dated quite a bit. After some time she began dating a fellow by the name of John Terry. They enjoyed each other’s company and liked getting together to go to movies, parties at friends’ homes, and dances in Milwaukee and Illinois. Before long they became a couple and on August 20, 1949, Dolores and John were happily married at St. Alphonsus Catholic Church in New Munster, Wisconsin. The newlyweds moved to the Terry Family Farm where they shared the farm house with John’s parents and where John helped run the farm. For a time Dolores worked in a canning factory which later became Burlington Brass Works, which produced shell casings for the military. She then worked at the Jockey Company in Burlington sewing until their first child, Barbara was born in 1951. Soon they welcomed Rita in 1953, Patricia in 1956, and Mark in 1958. In 1964, Theresa was born, and in 1968, Maria completed their family. Dolores was truly John’s helpmate. While she looked to her husband on nearly every decision, she quietly and lovingly went about keeping her family fed, clothed, and loved. After working hard during the week, they spent time as a family on Sunday’s after church at dinner with her parents and her sister, Ruth. Sometimes they’d pack up and drive to visit an aunt and uncle. Family meant everything to Dolores. She made a wonderful home for her family, and she was a great cook and baker, sharing these talents with her five daughters. She went strawberry picking each June and over the years she made hundreds of jars of jam. She enjoyed baking cookies and making candy at Christmastime, and her holiday meals were simply delicious. Dolores’ work ethic continued throughout her life. Every spring, they purchased 500 chicks to be raised as laying hens and each day, Dolores would gather over 300 eggs. First candling them by hand, she weighed and sorted them before selling them to her regular egg customers. For their non-egg laying hens, it was quite a process, as well. They were butchered yearly to sell which meant catching the hens, doing away with their heads, plucking the feathers, gutting, weighing, and bagging them before they could be sold. Once the older children were able to help around the farm with chores, Dolores worked at Camp Wonderland at Camp Lake in food service. She also worked as a baker in the kitchen at Westosha Central High School. Since 1949, Dolores was a member of St. Francis Xavier Parish where she was an active member of the Christian Mothers and Altar Society. She volunteered with the church’s annual turkey dinner and bazaar, bake sales, and as a substitute receptionist. Dolores was always busy and whenever she had a moment to sit down, she undoubtedly always feel fast asleep. Dolores loved card playing which included her favorites, Sheepshead, Kings Corner, Eucher, and Michigan Rummy. She kept her change purse loaded and ready to go! For many years, Dolores and John were members of a card club, taking turns hosting get-togethers with the same circle of friends that hung around together in their younger days. In later years, Dolores loved nothing more than having her children and their families over for family meals, and times spent enjoying the holidays and other special occasions. As her husband, John’s Alzheimer’s disease progressed, Dolores was forced to become more active helping in the barn once again.  It was no less a challenge for her, now in her older years and with her advanced arthritis. Throughout the years Dolores underwent five surgeries on her right hand, and in the end she couldn’t use it at all. 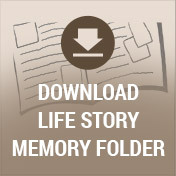 She continued to care for John at home for many years as his Alzheimer's progressed. Once he moved to Brookside nursing home, she visited often and helped with Bingo on Wednesdays. Following John’s death in 2013, Dolores needed 24 hour in-home care for the next two years before she was moved to Casa del Mare. Another two years later when her health dictated it, she was moved to Manor Care in Kenosha. A woman truly dedicated in all she said and did, Dolores Terry worked hard her whole life through. 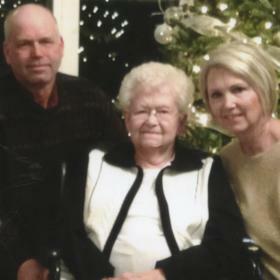 Her family brought her the greatest joy, and in them she found her greatest reward. With ways all her own, Dolores stood on the sidelines letting the lives and the lights within them shine. She encouraged and supported her family in each of their endeavors, and Dolores would not have wanted it any other way. A selfless woman, Dolores was to be admired. Deeply missed, she will never be forgotten. 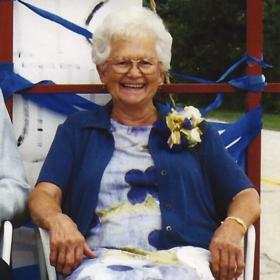 Dolores R. Terry, 91, of Salem, passed away Friday, October 26, 2018 at Manor Care in Kenosha. 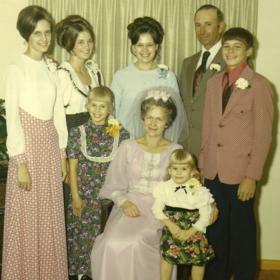 She is survived by her children, Barbara Fleming, Rita (Perry) Mueller, Patricia (Gary) Glas, Mark (Therese) Terry, Theresa (Robert) Hozeska and Maria (Greg) Gillmore; grandchildren, Sean Fleming, Michael (Megan) Mueller, Jeremy Mueller, Amy (Pete) Foerster, Holly (Ryan) Graf, Adam and Derek Glas, Brian (Jessica) Terry, Taylor (Chad) Larson, Erica and Parker Hozeska, Ariana (Joel) Culbertson and Austin Gillmore; great-grandchildren, Lauren and Graham Foerster, Quintin and Bennett Graf, Riley and Chloe Mueller, Grace Mueller, Phillip and Oliver Terry, Dawson, Mariska and Liam Larson, Alia and Jada Culbertson and; and two sisters-in-law, Virginia “Gin” Jazdzewski and Vida Terry. She was preceded in death by her parents; husband; siblings, Harold Richter and Ruth Hofner; and by great-granddaughter, Tuesday Ann Terry. The Mass of Christian Burial will take place Tuesday, October 30, 2018 at St. Francis Xavier Catholic Church at 10:30 am. Burial will follow in St. Francis Xavier Parish Cemetery. Friends and relatives may visit with Dolores’ family on Monday, October 29, 2018 at Schuette-Daniels Funeral Home, 625 Browns Lake Dr. Burlington, WI from 4-7 pm.